Sharing a record label home at RCA and with the abundance of R&B hits between them it was fitting to pair these two together to co-headline a tour. This concert date opened with R&B/Soul singer and Grammy winner Anthony Hamilton, who came out on stage wearing his signature hat, a cream colored leather jacket, black jeans and black shirt, was also surprisingly sporting a knee brace that he didn’t allow to slow him down (it actually gave him a chance to playfully showoff his pimp walk). Prince has died at the age of 57. 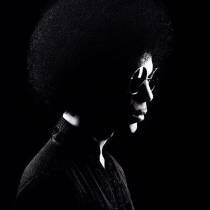 Born Prince Rogers Nelson, he championed "the Minneapolis sound" and also took on the music industry in his fight for creative freedom by changing his name from Prince, to an unpronounceable symbol. "It is with profound sadness that I am confirming that the legendary, iconic performer, Prince Rogers Nelson, has died at his Paisley Park residence this morning at the age of 57," said his publicist, Yvette Noel-Schure. Prince won seven Grammy Awards and earned 30 nominations. Five of his singles topped the charts and 14 other songs hit the Top 10. He won an Oscar for best original song score for "Purple Rain." Check out the trailer for Lemonade. Beyoncé’s exclusive world premiere event premieres April 23 on HBO at 9PM ET/6PM PT. [New Video] Ice Cube & Common - "Real People"
Good to see two MC's that had a beef at one time come together to produce good music. Check out the video for Ice Cube & Common's new song from their upcoming movie Barbershop: The Next Cut! 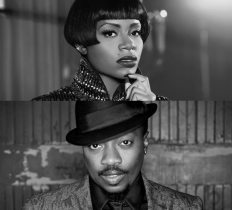 Anthony Hamilton & Fantasia Announce A Joint National Tour! 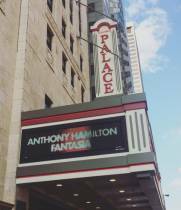 Grammy Award winning recording artists, ANTHONY HAMILTON and FANTASIA are excited to announce their spring 2016 co-headlining tour. Kicking off April 21st at Shea’s Buffalo Theatre in Buffalo, NY, the four-week tour will hit major cities including Chicago, New York, Washington, D.C, Los Angeles and more. Tickets will go on sale March 4th at Ticketmaster.com. See below for tour routing. More tour dates will be announced. Kendrick Lamar @ 2016 Grammy Awards from Sofia Payro on Vimeo. Chrisette Michele's latest release comes as a surprise in the midst of the hype of her new title fiancé. "STEADY" speaks of the 10 year run in the music industry with labels Def Jam and Motown, and now her very own imprint, Rich Hipster signed to Capitol/Caroline records. With the new found freedom of running her own record label, Miss Michele releases her first Trap Soul record. She makes reference to the Porsche she's seen driving off the set of her reality TV show "R&B Divas LA" and the re-kindled relationship between herself and Four Kings CEO Doug "Biggs" Ellison. 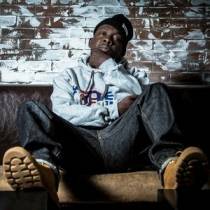 The track is produced by Blckie Blaze of Four Kings Productions. "I'm ready to play. I miss being a choreographer. I miss my leather pants. I miss being excited. I love my ballads and there will be some in this new album, Milestone, but it's time to let my hair down and step outside of the box. I can't wait to share."